Match ends, Hertha Berlin 0, Hannover 96 0. 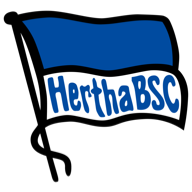 Second Half ends, Hertha Berlin 0, Hannover 96 0. Substitution, Hertha Berlin. Fabian Lustenberger replaces Niklas Stark because of an injury. Delay in match Niklas Stark (Hertha Berlin) because of an injury. Attempt missed. Salomon Kalou (Hertha Berlin) right footed shot from outside the box is close, but misses to the right. Assisted by Ondrej Duda following a fast break. Attempt missed. Marko Grujic (Hertha Berlin) header from the centre of the box is too high. Assisted by Ondrej Duda with a cross following a corner. Corner, Hertha Berlin. Conceded by Michael Esser. Attempt saved. Salomon Kalou (Hertha Berlin) left footed shot from the right side of the box is saved in the top right corner. Corner, Hannover 96. Conceded by Davie Selke. Corner, Hannover 96. Conceded by Karim Rekik. Attempt blocked. Hendrik Weydandt (Hannover 96) header from the centre of the box is blocked. Assisted by Genki Haraguchi with a cross. Foul by Sebastian Soto (Hannover 96). Substitution, Hannover 96. Sebastian Soto replaces Linton Maina. Delay in match Hendrik Weydandt (Hannover 96) because of an injury. Attempt blocked. Davie Selke (Hertha Berlin) right footed shot from the centre of the box is blocked. Assisted by Ondrej Duda. Attempt blocked. Ondrej Duda (Hertha Berlin) right footed shot from the centre of the box is blocked. Assisted by Davie Selke. Attempt saved. Oliver Sorg (Hannover 96) right footed shot from outside the box is saved in the centre of the goal. Assisted by Genki Haraguchi. Substitution, Hertha Berlin. Javairo Dilrosun replaces Mathew Leckie. Felipe (Hannover 96) wins a free kick in the defensive half. Attempt saved. Salomon Kalou (Hertha Berlin) left footed shot from the centre of the box is saved in the top centre of the goal. Assisted by Vedad Ibisevic. 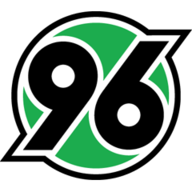 Substitution, Hannover 96. Nicolai Müller replaces Florent Muslija. Corner, Hannover 96. Conceded by Lukas Klünter. Attempt missed. Genki Haraguchi (Hannover 96) left footed shot from the centre of the box misses to the right following a set piece situation. Linton Maina (Hannover 96) wins a free kick on the right wing. Attempt blocked. Matthias Ostrzolek (Hannover 96) left footed shot from the left side of the box is blocked. Offside, Hannover 96. Pirmin Schwegler tries a through ball, but Florent Muslija is caught offside. Substitution, Hertha Berlin. Davie Selke replaces Per Skjelbred. Foul by Florent Muslija (Hannover 96). Attempt missed. Ondrej Duda (Hertha Berlin) right footed shot from the right side of the box is high and wide to the left. Assisted by Vedad Ibisevic. Attempt saved. Florent Muslija (Hannover 96) right footed shot from outside the box is saved in the bottom left corner. Mathew Leckie (Hertha Berlin) is shown the yellow card for a bad foul. Florent Muslija (Hannover 96) wins a free kick in the attacking half. Attempt missed. Linton Maina (Hannover 96) left footed shot from outside the box is too high following a corner. Corner, Hannover 96. Conceded by Rune Jarstein. Attempt saved. Florent Muslija (Hannover 96) right footed shot from outside the box is saved in the bottom right corner. Assisted by Linton Maina. Attempt missed. Lukas Klünter (Hertha Berlin) left footed shot from outside the box misses to the left. Assisted by Mathew Leckie. Offside, Hannover 96. Waldemar Anton tries a through ball, but Hendrik Weydandt is caught offside. Second Half begins Hertha Berlin 0, Hannover 96 0. First Half ends, Hertha Berlin 0, Hannover 96 0. Attempt saved. Waldemar Anton (Hannover 96) right footed shot from the left side of the box is saved in the bottom left corner. Assisted by Matthias Ostrzolek. Corner, Hertha Berlin. Conceded by Waldemar Anton. Attempt blocked. Marko Grujic (Hertha Berlin) right footed shot from outside the box is blocked. Assisted by Mathew Leckie. Attempt missed. Salomon Kalou (Hertha Berlin) header from the centre of the box is too high. Assisted by Marvin Plattenhardt with a cross. Attempt missed. Genki Haraguchi (Hannover 96) right footed shot from outside the box is high and wide to the right. Assisted by Florent Muslija. Attempt missed. Salomon Kalou (Hertha Berlin) right footed shot from outside the box is too high. Assisted by Per Skjelbred. Attempt blocked. Mathew Leckie (Hertha Berlin) right footed shot from the centre of the box is blocked. Offside, Hertha Berlin. Marko Grujic tries a through ball, but Marvin Plattenhardt is caught offside. Niklas Stark (Hertha Berlin) wins a free kick on the right wing. Attempt missed. Marko Grujic (Hertha Berlin) header from the centre of the box is just a bit too high. Assisted by Marvin Plattenhardt with a cross following a corner. Attempt blocked. Genki Haraguchi (Hannover 96) left footed shot from outside the box is blocked. Assisted by Hendrik Weydandt. Attempt saved. Mathew Leckie (Hertha Berlin) right footed shot from a difficult angle on the right is saved in the bottom right corner. Assisted by Karim Rekik. Offside, Hannover 96. Oliver Sorg tries a through ball, but Hendrik Weydandt is caught offside. Per Skjelbred (Hertha Berlin) is shown the yellow card for a bad foul. Marvin Bakalorz (Hannover 96) wins a free kick in the attacking half. Attempt blocked. Marko Grujic (Hertha Berlin) right footed shot from the centre of the box is blocked. Assisted by Vedad Ibisevic. Attempt saved. Linton Maina (Hannover 96) left footed shot from outside the box is saved in the centre of the goal. Assisted by Genki Haraguchi. Attempt missed. Lukas Klünter (Hertha Berlin) left footed shot from the right side of the box is close, but misses to the right. Assisted by Marko Grujic.